The following information is for those foreign applicants for accommodation in a hall of residence who have been referred to Studentenwerk through a recommendation list from the University, the Foreign Student Office or the International Office. The students have received a confirmed reservation for admission on a fixed date at the beginning of a semester. Special application forms are required for the applicants mentioned above; these are generally handed out to applicants by the university making the recommendation. This procedure avoids the usual waiting list for accommodation and provides a mutually binding reservation, provided that all conditions and requirements for application are fulfilled by applicant by a specified date. there is no possibility of early termination of the contract; those who move out before expiration of the contract must pay the rent for the remainder of the contract period in advance. there is no option to extend the tenancy agreement. relocation to another room or apartment, whether in the same building or in another building is not possible. rent for the first and the second month and the deposit must be paid in advance. The online application can only be submitted using a special application form. The associated Online-Link you will get from the recommending university. Our online application is self-explanatory. Before completing and sending your online application form, please inform yourself about the different types of apartments. If you also need a car parking space, please check out in which of our apartment buildings and halls of residence parking-places (usually for a fee) can be rented. 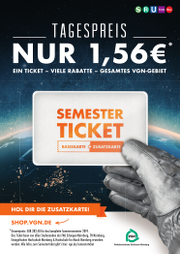 Applicants can be offered accommodation from Studentenwerk if they are on the university recommendation list and if sufficient accommodation is available. If he or she is recommended by the university, and if there are enough rooms or apartments available, the applicant can get an offer from the Students Services. The recommendation list must have been submitted to Studentenwerk by the deadlines mentioned above (also see number 5). 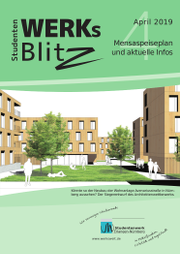 Studentenwerk will consider the applicant’s special wishes regarding accommodation as far as possible. Should the applicant reject the offer (which is normally send by email) or should the conditions not be fulfilled on time (e.g., payment), the reservation will be cancelled and the room will be offered to someone else. In this case, Studentenwerk will assume that the does no longer wishes to have their application processed and is no longer interested in a reservation. Minimum standard for a single room at the location of the university. Furnished single room in a traditional hall of residence (basin in the room) or in apartment sharing communities with shared kitchen and sanitary facilities. Room size: from 10m², in some cases larger or much larger (apartment sharing often 15 m² or more). This category is inexpensive and provides the opportunity of quickly making contact with other students. Price Range: from 179 € to approx. 282 €, including cost of utilities; newer, larger group apartments sometimes cost more, in some cases up to a maximum of 307 €. The price of group apartments is exclusive of electricity charge. Higher standard single room at the location of the university. Furnished single apartment with small shower/lavatory/basin and kitchenette. The apartments are usually between 15 and 18 m². The monthly rent (as of 2019) is generally between 190 € and 300 €, less in some cases or more (in larger housing units up to 327€). The prices do not include electricity charges, which must be settled separately with the utility company (approx. 25 € - 30 € per month). Comfort-Room (only in Erlangen) size from 14 m² with small shower and lavatory; but with shared kitchen on the floor. Housing for families with and without children are usually between 39 and 66 m². (rental price between 326 € and 597 €) In some housing complexes, child care facilities for children aged up to 3 years are available. Disabled friendly housing options. Rental fees and availability on request. Flatshares for two persons are per domicile (between ca. 11 and 30m²), as a rule, cheaper per person than single apartments. Monthly rent is between 158 € and 282 €. These applications will be dealt with on a case by case basis. Special advice is available. Location: urban, often close to the university or the town centre, but always with good transport connections. Recommended means of transportation: bus (in Nürnberg, also underground or tram) or bike. It is no problem to rent or even to buy a used bike in Erlangen or Nürnberg. Parking spaces may available in some halls of residence for a fee, but are often limited in number. All the buildings are functionally furnished. The oldest hall of residence is located in a half-timbered house from the Middle Ages; the latest was just completed. The older buildings have regularly been renovated. Some halls of residence have modern systems that utilize solar energy and collect rainwater for domestic use (e.g., for toilet flushing). Studentenwerk pays special attention to environmentally friendly construction and operation, and also ask their tenants not to squander energy, water and other commodities. In every housing unit you will find basic furniture such as a bed, table, chairs, wardrobe and a lamp. Some rooms have additional furniture and some (also those of category 1) have their own or a shared balcony. Almost all rooms and apartments (even in the older halls of residence) feature internet access; the local administrators charge a small fee for their services. Bed linen, towels and blankets are not provided by Studentenwerk. Cookware and crockery must also be brought by the student, however there is often a basic supply of these in the rooms of category 1. Every hall of residence has washing machines (for a small fee) and communal rooms for watching TV, studying or simply relaxing together. Some halls even offer sports facilities (e.g., table tennis and a room for weight and fitness training). There are several tutors in each hall of residence who will help and support newcomers, so don’t be afraid to ask them questions! All tenancy agreements are limited to 2 semesters (to the end of a semester). It is not possible to move within the hall or to move out before your tenancy agreement expires. Deposit: this a one-time payment to be paid before moving in, and will be returned if your room is in good order and condition after moving out. The deposit will not accrue interest. For single domicile the deposit will be between 243 € and 673 €, for double apartments or a flat for 2 Persons it will be between 513 € and 800 €. The rent is calculated by Studentenwerk to cover the costs of the residence. The total monthly fees consist of the basic rental fee and prepayment of additional running costs. If the additional costs should have to be increased, Studentenwerk will inform you about the adjustment in your prepayment at the beginning of the year. At the end of the year, the total costs will be calculated and any excess payment will be returned. Life in a hall of residence means living together with lots of other students. For this to succeed, everyone is obliged to be considerate of others, to have an interest in the wellbeing of others by being flexible and accommodating, and to keep their house clean and tidy. This is why we kindly ask every applicant to check whether he or she can fulfil these criteria. please contact the WohnService (Housing Service) of the Studentenwerk at the location of the university. If you arrive by train, take the bus number 284, 285, 286, 287 or 294 from the station; Bus stop Langemarckplatz, 1 min on foot. Fax +49 9131 8002-184, Tel +49 9131 8002-281 If you arrive by train, take the underground line U2 or U11 in the direction of “Flughafen/Ziegelstein” and get off at Wöhrder Wiese, then it is 5 mins. on foot along the river Pegnitz into the city. Monday, Wednesday and Thursday 9.00 a.m.-12.00 p.m.
Tuesday 10.00 a.m.-12.00 p.m. and 1.30 p.m.-3.30 p.m.
At the WohnService you will be given the original of your tenancy agreement. To move in it´s necessary to bring your ID, the confirmation of the payment and the reservation of your accommodation. You will receive after receipt of payment of deposit and rent a confirmation and information to moving in. Please find out which caretaker is responsible for your hall of residence (information leaflet). In the leaflet you will also find how to reach the caretaker. Since caretakers are sometimes on holiday or ill, you will also find your caretaker’s stand-in. The best time to meet your caretaker is during his or her office hours, but we always recommend making an appointment for the day you wish move in, since our caretakers are very often responsible for more than one building and have many other duties. As a rule, moving in is only possible from Monday to Friday, and only in the morning or in the afternoon. Moving in the evening or at night, on weekends or on public holidays is, as you may understand, strictly not allowed. If you arrive from far away, spending the first night in a local hotel or in a youth hostel might be the best solution.